A brutal, but necessary unveiling of violence and ghosts we carry with us daily, The Inheritance of Haunting sings the unbearable and still makes a claim for survival. These are intricate poems that are odes to the women who have come before us, odes to the women who have been silenced by fear, and odes to the “wreckage of centuries.” With language that is alive, inventive, sound-driven, and ricocheting with power, this is a fierce and breathtaking collection that risks calling for a great reckoning with our collective past. Heidi Andrea Restrepo Rhodes is a queer, disabled, mixed-race, second-generation Colombian immigrant, poet, artist, scholar, and activist. 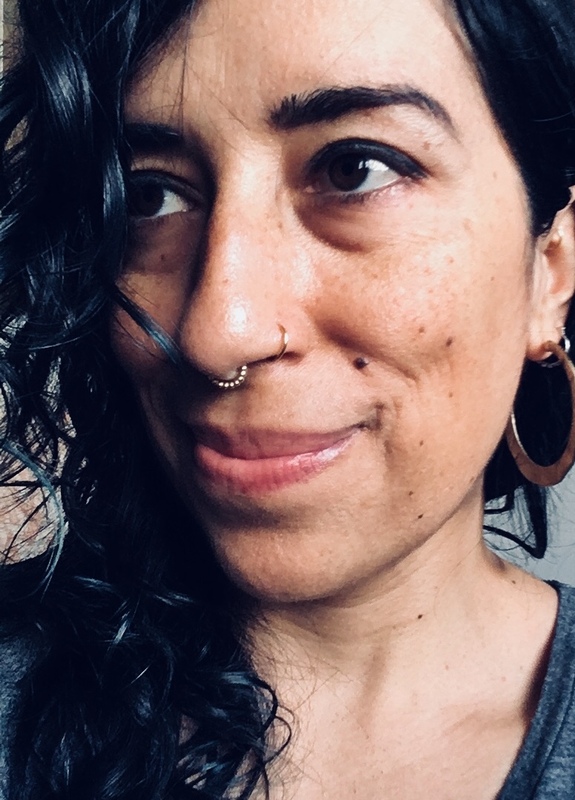 Her creative work has been published, exhibited, and performed in As/Us, Pank, Raspa, Word Riot, Feminist Studies, Huizache, the National Queer Arts Festival, The Sick Collective, the Bureau of General Services-Queer Division, SomArts, and Galería de la Raza, among other places. She was a semi-finalist for the 2017 92-Y/Unterburg Poetry Center Discovery Contest, and a semi-finals judge for the 2017 Youth Speaks/Brave New Voices National Poetry Slam Competition. Born in Arizona, and raised in California, she currently lives in Brooklyn.